Counterstreaming: Measuring the Impact of Cultural Remittances. Essays in Honor of Juan Flores. Caribbean Transnational Films and National Culture, or How Puerto Rican or Dominican Can You Be in “Nueba Yol”? 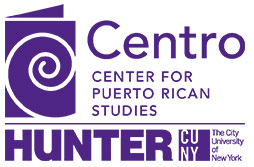 CENTRO Journal is published twice a year (Spring and Fall) and a yearly subscription includes both numbers.